A COUNCILLOR who claims residents' parking spaces have been pinched by students and hospital workers has pleaded with the county council to apply a permit system. But Councillor Mick Haines, who represents Marston on Oxford City Council, has been told by Oxfordshire County Council there is no money left to start one. He has campaigned to improve parking for residents in his ward since he was first elected onto the city council in 2011. 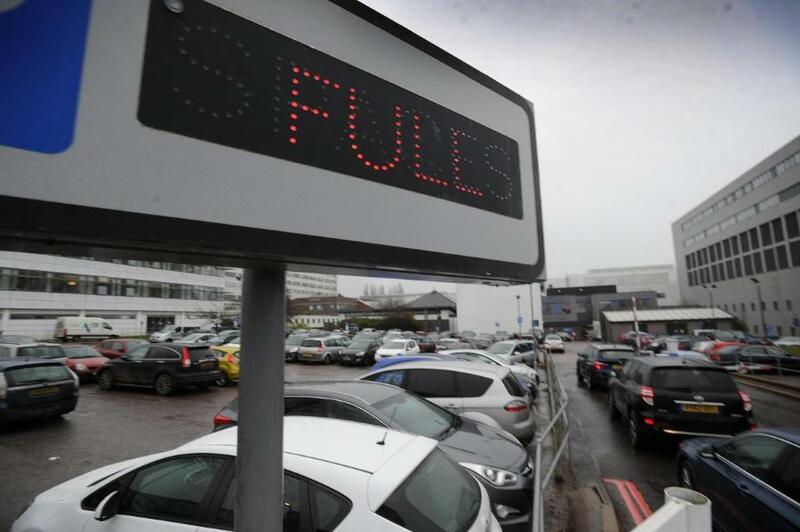 Parking is so bad in the area that the Oxford University Hospitals NHS Foundation Trust advises patients and visitors to set aside an hour ahead of their trip to find a space at the John Radcliffe Hospital. 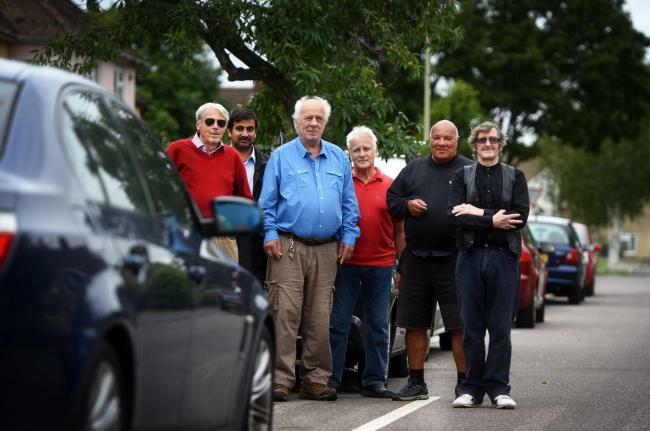 Councillor Haines said residents struggle to regularly park anywhere near to their homes and that a permit scheme is required to prevent people taking up plum spots. He said: “It’s chock-a-block with the parking. On the walkabout I have with residents it’s always brought up as an issue. It’s a big predicament here. “I’m not happy with this at all because [Oxfordshire County Council] told Old Marston Parish Council to pay for it and Old Marston Parish Council wasn’t happy to pay for it." He claimed in one instance that parking was so haphazard an ambulance could not park close to a patient’s home. An Oxford University Hospitals NHS Foundation Trust spokesman said solutions are being sought to alleviate parking troubles at its hospital. Kaelum Neville said: “The trust is aware that parking can be challenging for our patients and visitors, particularly at our hospitals in Headington. “As part of the long-term master plan for our estate, we are exploring potential options to help reduce some of these pressures. However, we believe that there is no one-size-fits-all solution and a number of separate measures will be needed to help resolve this issue more fully. “In the meantime, we continue to advise our patients of the limited number of car parking spaces we have available and encourage them to use alternative methods of transport, such as the park and ride services that run regularly to and from our hospitals. And Oxford Brookes University spokeswoman Rachael Lee added: “Oxford Brookes maintains a strong commitment to sustainable travel, promoting and supporting students to use public transport or other forms of travel. We fund the BrookesBus service, which has routes across the city and runs to all our campuses and most students are able to use this for free. "In addition we have a number of measures in place to encourage cycling. RESIDENTS have welcomed a £2.2m scheme in Oxford aimed at protecting scores of homes from flash flooding. The city council started work on the Northway and Marston Flood Alleviation Scheme in November last year and three flood water storage areas, channel realignment and new embankments have now been completed. This means the 110 homes are now much less likely to suffer flooding from Peasmoor Brook and the Headington Hill Tributary. It can take as little as half an hour of torrential rain to cause flooding outside homes in the areas. Grandmother Janet Weston, 85, lives in Stockleys Road, Marston, with her husband Thomas, 88, a former car factory worker. She said: “We have lived here for 55 years and we have always had problems with flooding – the flood water comes right up on to our drives. Pensioner Betty Fletcher, who also lives in Stockleys Road, added: “In 2012 the cars in the road were all flooded – it was not pleasant at all and we will now have to wait until there is a big storm for this new scheme to be properly tested. 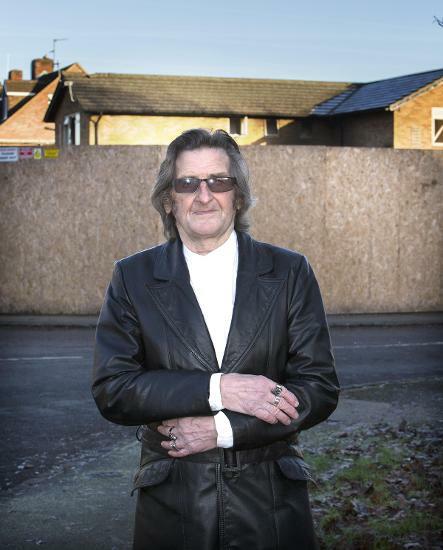 “I have lived here for 23 years and have campaigned for the council to help us on this. City councillors including John Tanner, Mark Lygo, Mick Haines and Nigel Chapman visited Court Place Farm Recreation Ground yesterday to see how one of the storage areas would work. Rain will now be channelled into the three flood water storage areas, and then released into the drainage system and waterways at a pace they can cope with. 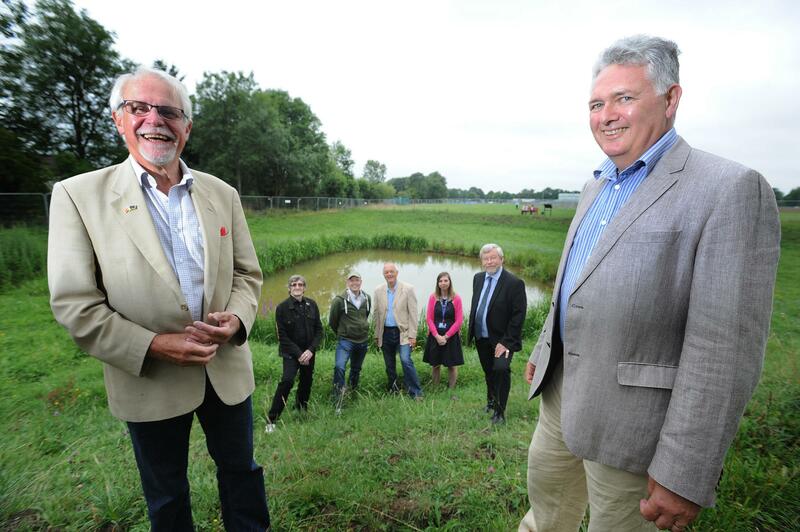 The city council won funding from grants administered by the Environment Agency – £1.6m – and Oxfordshire Local Enterprise Partnership – £600,000. John Tanner, executive board member for a clean and green Oxford, said: “I am thrilled that this flood-prevention project has now been completed by our city council workforce. "We know how horrendous it is having your home under water and now it is much less likely that homes in Northway and Marston will suffer from flash flooding. AGEING pipes are struggling to cope with sewage and should be replaced as a new housing development looms, it has been claimed. 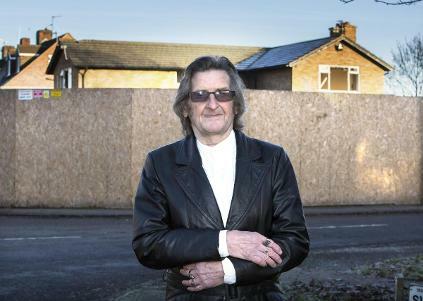 Oxford city councillor for Marston, Mick Haines, has called on Thames Water to replace the infrastructure at the Carter Estate, a residential area near to the Marston Road Sports Ground. He claims the pipes are past their 'use by date' and are already struggling to cope with demand. The existing estate was built in the late 1950s and includes about 500 homes. A new development is set add an additional 16 flats on the estate, at the site of the former Jack Russel Pub in Salford Road. Mr Haines said: "It is an antiquated system that can't take the strain anymore. "I want to know what Thames Water is doing about it. "There is going to be a build of new homes there and it just isn't going to take the strain. "That system is antiquated and it needs replacing. "It is more than 60 years old and the houses need to be protected." In March this year trucks were spotted pumping raw sewage from the drains at the Carter Estate before transporting it back into main sewers elsewhere in the city. The sewage was pumped out because of the failing system, the councillor claimed. He added: "Marston needs this. "It can come up into people's gardens and it has happened before in Marsh Road. "We have had raw sewage in Ferry Road as well. 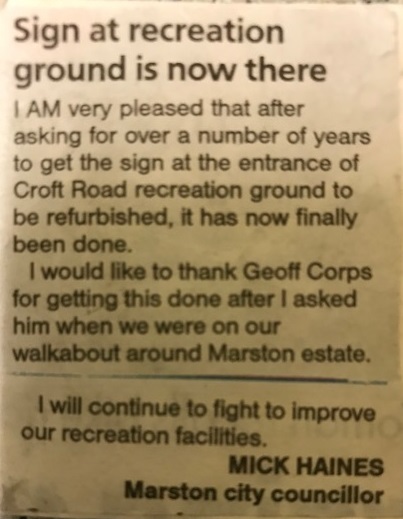 "People are really concerned about this in Marston. "I would like more infrastructure done to protect the residents from flooding and from sewage. "I want to find out from Thames Water that if flats are built we don't get raw sewage and flooding. "We do need more houses but we need proper infrastructure before we build them. "We have had trouble for years in the Marston area." As well as problems with sewage, significant flooding from rainwater has also hit the area numerous times in recent years, including a large flood in 1998 and then again with flash floods in 2012. The streets were submerged and residents' homes were wrecked during the worst of the torrents. In a statement Thames Water said in response: "Our general position on development is that we have a duty under the Water Industry Act to provide, maintain and extend our infrastructure to serve new development. "Where we do have concerns about the ability of the existing infrastructure, we will raise those concerns and where appropriate seek a condition to ensure the delivery of new housing does not outpace the delivery of infrastructure. "It’s Thames Water’s preference that detailed drainage strategies should be drawn up ahead of the submission of planning applications. · Who is going to deliver the solution (Thames Water/developer/jointly). "Where this isn’t the case, Thames Water will seek an appropriately worded planning condition to ensure a drainage strategy is produced, if the site gains planning approval." AS a new 885-home development begins to take shape near Marston one councillor has claimed that sewage will line the streets unless a new pumping station is installed to cope with the influx. Marston has been hit by flooding a number of times over the past decade, with instances of sewage spilling out and lining the roads. Now, with the looming Barton Park development, off the A40 northern bypass and west of the Barton estate, Marston councillor Mick Haines claimed that without proper infrastructure the area will not cope with the extra demand. He said: “I think the sewer system has taken enough and with the new Barton Park it is putting more strain on it. “We need a proper system and a pumping station, and the residents are already complaining about this causing flooding and blocked sewers. He added that support was 'growing' within the community and that residents had shown a great deal of support for his concerns. The Marston councillor had previously called on Thames Water to fix what he termed an 'ageing' sewer system and last month claimed the infrastructure in the Carter estate in Marston was 'well past its use-by date'. There will be 16 homes built on the site of the former Jack Russell Pub after planning permission was granted to develop the derelict site. Mr Haines said that although he had been in contact with Thames Water the company did not support the idea of a new pumping station or replacing the ‘ageing’ drainage system. He added: “Thames Water has got to take note and start to tackle this. "Marston residents have already had problems with drains. Thames Water said that generally the firm agreed 'drainage strategies' well in advance of any new development. A spokesman said: "Our general position on development is that we have a duty under the Water Industry Act to provide, maintain and extend our infrastructure to serve new development. THOUSANDS of patients at a new doctor's have been told there will be no extra parking on site and visitors must use the already busy John Radcliffe Hospital car park instead. Some 5,500 people using the new Arthur Sanctuary House GP, a building on Woodlands Road owned by Oxford University Hospitals Trust which runs the JR, have been warned to expect gridlock after it was revealed there will be no patient parking at the new premises. In an e-mail sent out to patients and seen by the Oxford Mail, users were told they should use the nearby pay and display car park at the hospital or take a bus to make their appointments. Headington councillor Ruth Wilkinson said there was a ‘real anxiety’ in the community among those who were now facing significant delays. She said: “Residents are asking us if it is sensible to set up a medical practice in a location where there is no parking. “One partner from the practice apparently asked residents at a public meeting if they would let doctors and staff from the practice use their driveways. "People are worried. John Radcliffe outpatients already have great difficulty finding a parking space and there is severe congestion." The new Arthur Sanctuary House practice, which subject to a planning application for an extension, follows the separation of the former Marston Medical Centre at Cherwell Drive which was struggling to cope with demand. Patients were moved into two new sites after the move, one at Marston Pharmacy, Old Marston Road which is set to open later this month, and the other at Arthur Sanctuary House, which was chosen after the OUH offered to help because there was no other suitable location. But this is now set to add to problems on the roads as walking is not an option for many patients. Long-running parking problems at the city’s biggest hospital hit crisis point earlier this year after the OUH took the extraordinary step of urging drivers to ditch their cars or face hour-long delays just to find a space. Utility works and Oxfordshire County Council’s continuing £12.5m infrastructure improvement project Access to Headington have also caused misery for motorists in the area in recent months. One patient at the surgery and Marston resident Rath Pakeerathan said the decision to not include parking other than disabled bays was part of a bigger problem at the surgery. The 43-year old post-master said: “Not having anywhere to park is a problem definitely for patients. Hospital chiefs have revealed there have been 459,900 visits to the car park over the last twelve months, each averaging two and a half hours for its 730 parking bays. From these, there were 973 parking fines issued, fixed at £25 each, totalling £24,325 in fines for parking illegally, a sum which was returned back to the trust. The new practice falls under the umbrella of Hedena Health which comprises five surgeries in the area serving some 23,000 patients. Speaking of the parking issues Marston councillor Mick Haines also sided with patients and said: “The situation is really bad at the John Radcliffe. “I think a lot of the people will have a job getting up there, the parking situation is absolutely shocking there. In response to the parking concerns, Dr Justin Amery at Hedena Health said that he regrets the lack of parking but said that there was no other choice. He said: “We are also frustrated about the lack of parking availability but it’s a choice between finding premises or not. It’s the only one we could get at short notice. He added there were five sites which made up the Hedena Health umbrella and that patients were able to request appointments at any of the other locations. Peter Knight, executive director at Oxford University Hospitals NHS Foundation Trust said in a statement: “We have been happy to help Marston Medical Centre find a new temporary home on our John Radcliffe site. “One of the advantages for them in locating to our site is that we are extremely well served by public transport and also have good cycling provision on site.